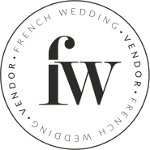 Today on the blog we’re super excited to bring you this fantastic wedding that includes two FWS vendors! 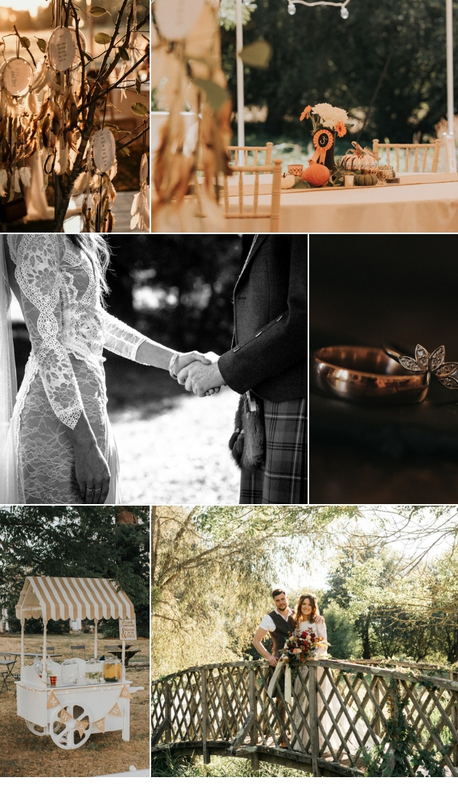 So, if you’re thinking of a unique bohemian Scottish wedding in France, then this wonderful blend of concepts organized by Samantha Webb for Martin & Kristy will surely inspire you! We can see full of springtime charm, as captured by Pattie Fellowes in the enchanting, large private estate in Saint Savinien – Chateau La Chaussee. Read on and find out why there’s nothing quite this theme as gorgeous as it is! Pattie Fellowes tell us below. 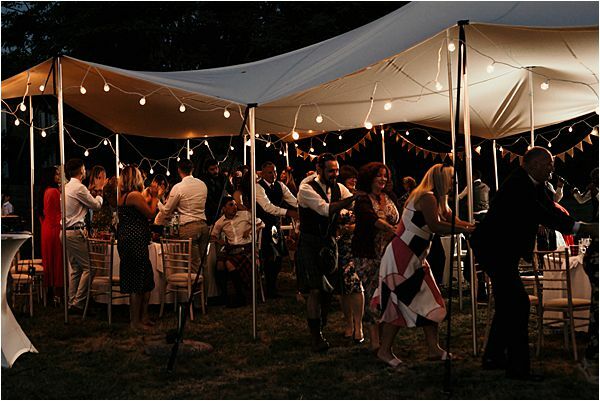 It was fond memories of family summer holidays spent in France which lead Kirsty and Martin, a couple from Aberdeen in Scotland, down the aisle in France. Martin and Kirsty are both very easy going, and leading exceptionally busy daily lives. They hadn’t been overly forthcoming with wedding plans following their engagement, much to the frustration of their family and friends. However, the reason they were procrastinating, was because they knew they wanted to get married in France, but were daunted by the idea of organising it all themselves. That all changed one February morning when they were given Samantha Webb details via a friend of a friend. One phone call later to discuss their options, they realised that Oui Ici could find or provide everything they needed from a Bedouin tent, to the décor, and would organise everything for them. It meant they finally felt excited to start organizing their big day. Things started to fall in place really quickly after that. Only having seven months to plan a wedding is enough to strike fear into any wedding planners’ heart. But it would appear Samantha Webb loves a challenge. 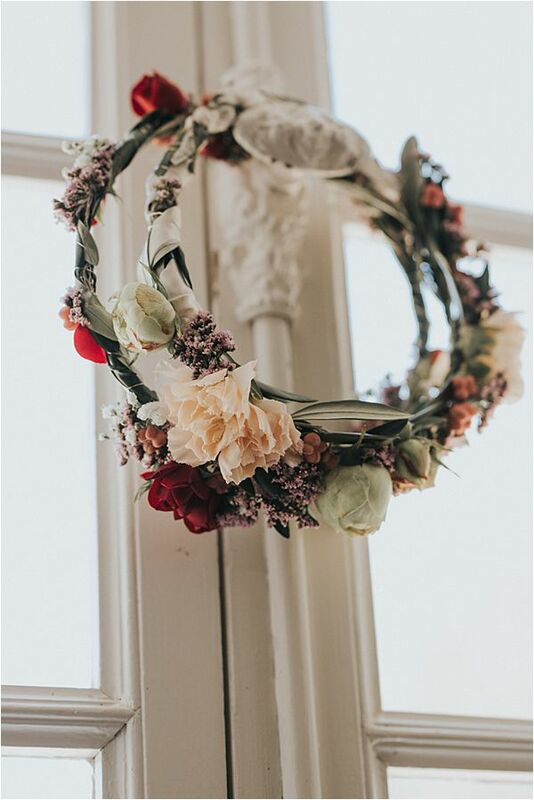 The dream bohemian style wedding in France was becoming a reality. 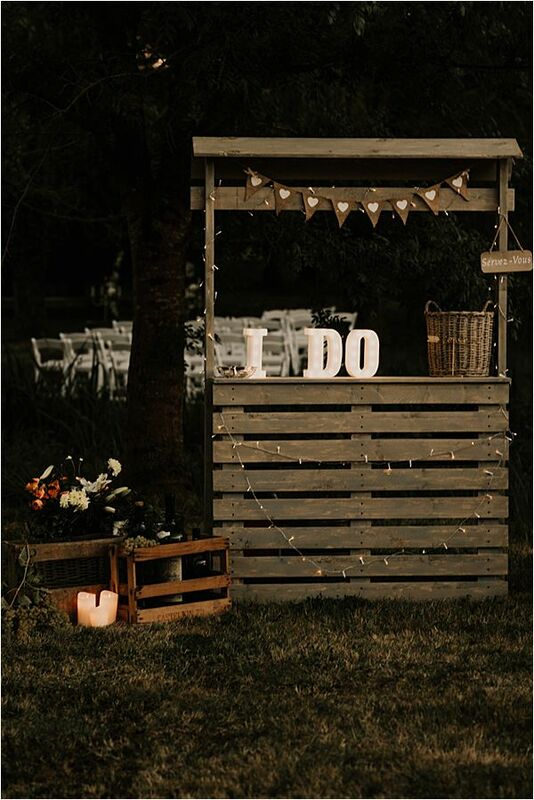 A long holiday weekend in early summer meant Martin and Kirsty finally got the opportunity to visit the venue they’d chosen in Saint Savinien – La Chaussee. 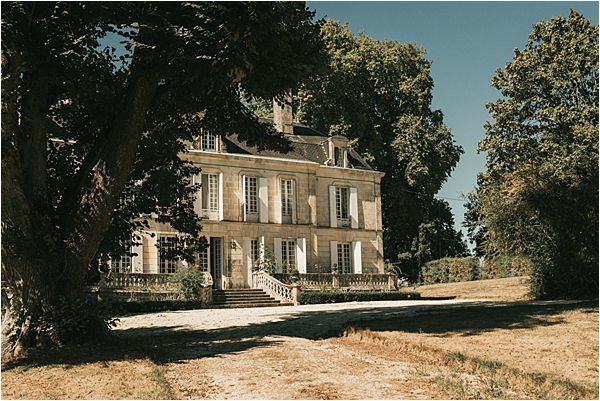 A large private estate which has been in the same French family for over 200 years, comprising of two equally beautiful houses, one a Chateau and the other a Mansion. It is a rare find, and meant both Martin and Kirsty’s friends and family all got to stay in equally beautiful accommodation for the week of the wedding. Kirsty found the dress of her dreams in a London boutique. 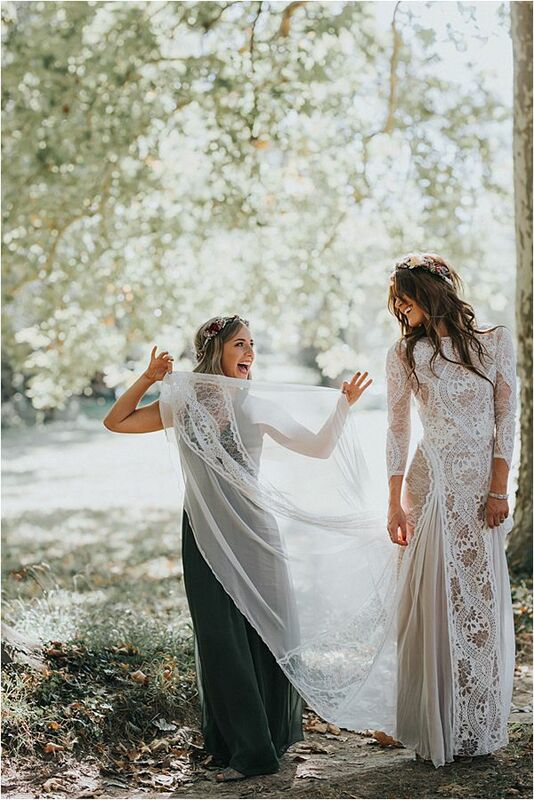 A stunning, bohemian-style lace dress came from an Australian designer Grace Loves Lace. Now, as everything was ordered, Kirsty could go back to her day job and studies, knowing the rest of the wedding details were being taken care of. Having picked her dress, Kirsty knew exactly the type of bouquets and flower crowns she wanted for her and her bridesmaid Lisa. 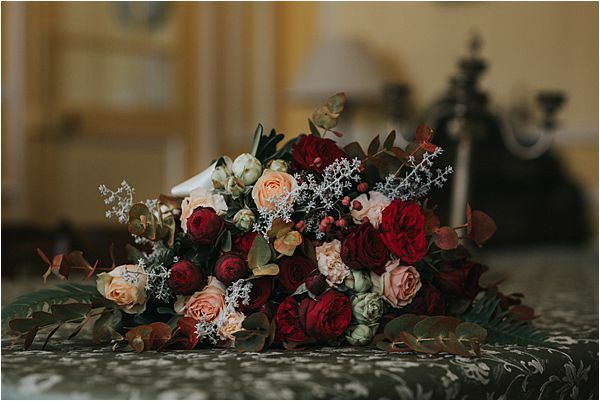 The stunning bouquets and crowns were created by a talented French florist – Fleurs & Nature, and delivered to the venue by them on the morning of the wedding. Being a proud Scotsman, Martin had never considered wearing anything but the kilt to his own wedding. Twelve other male guests also felt the same. The traditional Scottish dress is far more complicated than a bride bringing over a wedding dress. Being held in France he knew they would have to bring their kilts with them. They were very kindly rented and allowed out of the country by Gibbs of Inverurie in Aberdeenshire. 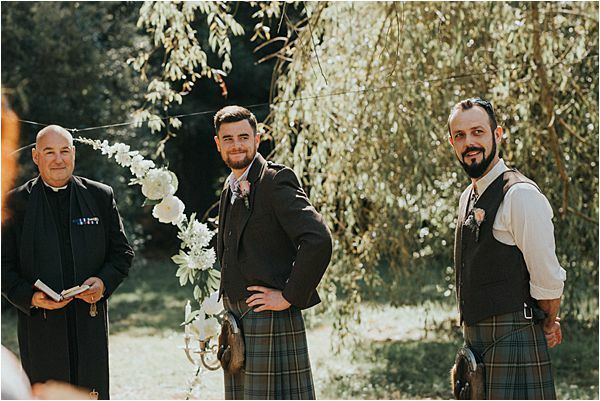 The kilt he and his grooms man are wearing is the Johnstone Weathered tartan. 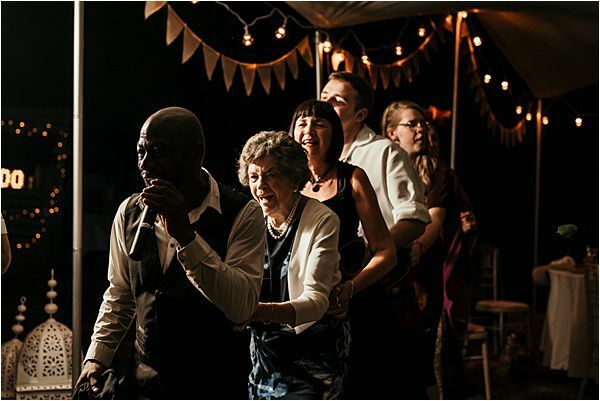 The weight of the wedding attire alone took up most of each man’s flight baggage weight allowance, leaving little for the rest of their summer clothes – thank goodness shorts and Tee shirts don’t weigh much! 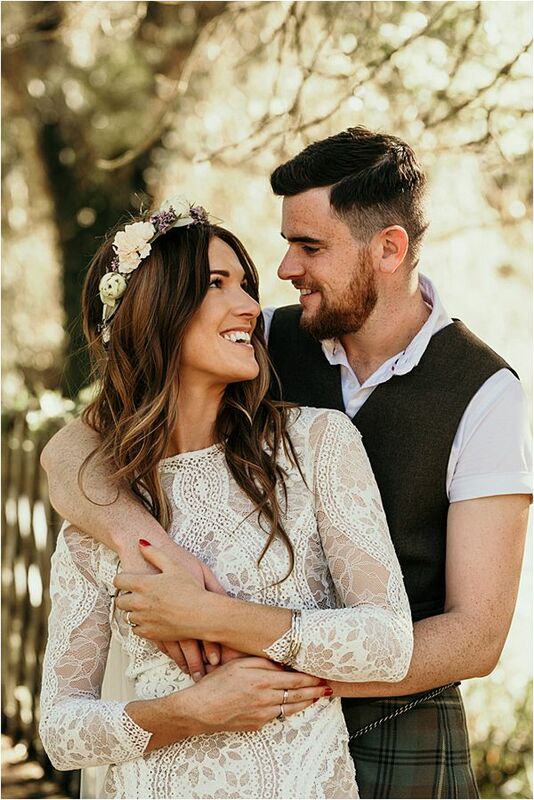 For such a photogenic couple, they were initially reluctant to have a wedding photographer at all. Eventually convinced that they might regret it if they didn’t have pictures taken, they explored all the choices available to them here in France. Kirsty’s bohemian vision for her day fitted perfectly with Pattie Fellowe award winning photography. Her natural, documentary yet artistic style suited this reluctant couple perfectly. On the wedding day, Kirsty was fortunate to have her own hairdresser Sarah Black, of Linton & Mac in Aberdeen numbered among her guests. Sarah did the female bridal party’s hair on the morning of the wedding. And their flawless makeup was done by a talented make up artist Jessica O Sullivan. Kirsty and Martins wedding ceremony was held on a small Island within the chateau grounds. The ceremony area and alter had been created by Oui Ici among the trees. Kirsty walked down the steps of the chateau and across the lawn to the beat of Massive Attacks, Tear Drop. 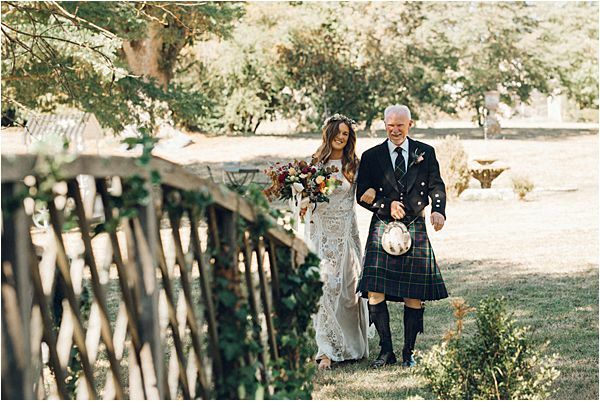 She crossed the small wooden bridge and walked up the aisle to meet Martin and their Padre, another guest and family friend from home. 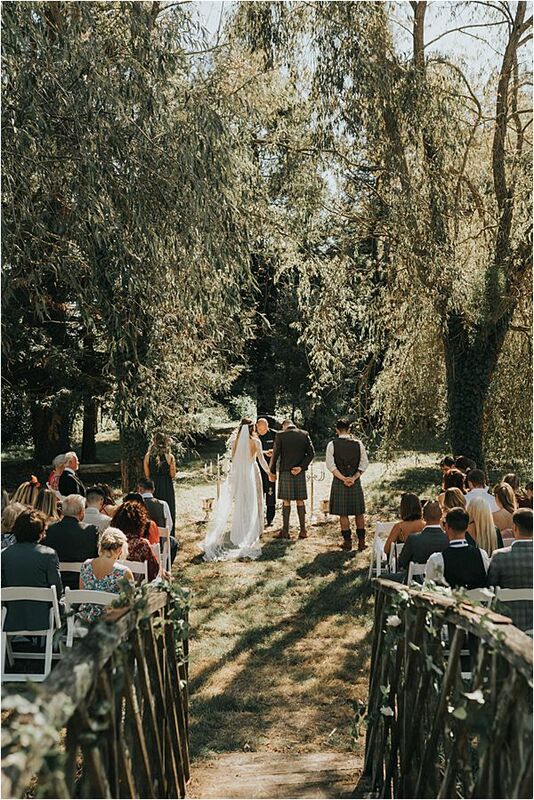 They tied the knot in a traditional Scottish ceremony as dappled sunlight light filtering through the trees on a beautiful September afternoon. The new Mr and Mrs Dargie came back over the bridge followed by their families and friends. They were greeted by two waiters with chilled champagne and beer, much needed in the 27-degree heat. 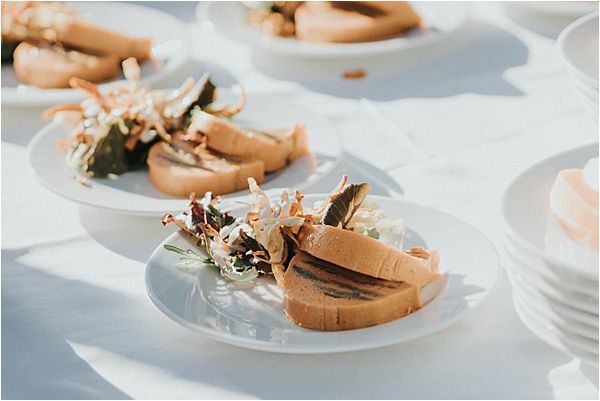 The guests all sat down to a wedding breakfast, which was catered by Phillippe Gault of Saintes and served outside on the lawn under Oui Ici’s Bedouin tent. However, the main surprise of the day was yet to come. Kirsty and Martins drinks waiters, whom everyone had presumed were French, weren’t French. In fact, they weren’t waiters either! 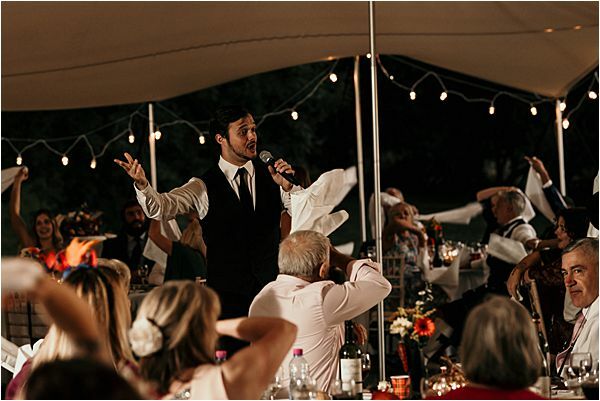 The look on every guest’s face was priceless when at 8.30, just as they served the desert, the so-called French wine waiters put down the wine bottles, and pulled microphones out of their pockets and burst into the opening lines of ‘What a swell party this is!’. Only Samantha Webb, Kirsty and her Mum knew that the waiters were the Tip Top Singing Waiterss, a surprise entertainment trio, flown in from Bristol, UK. Tip Top Singing Waiters sing a selection of cabaret and well know songs and Rat pack numbers. They were a huge hit with young and old and left everyone screaming for more. 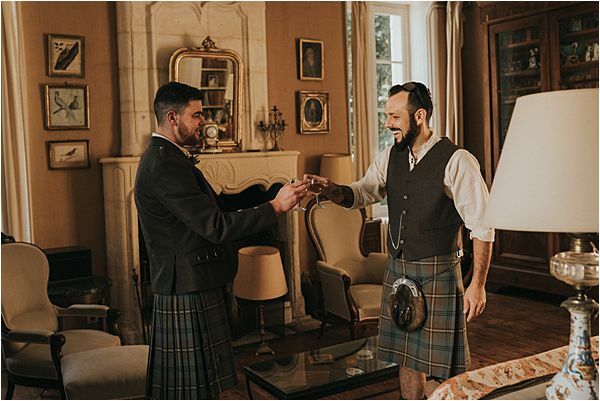 It was the perfect end to a perfect Scottish-French wedding. Congratulations Martin & Kristy from all of us here at FWS!